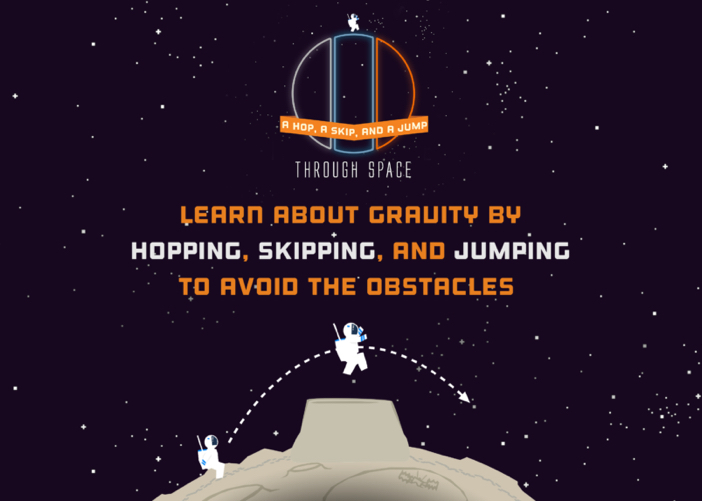 This is an interactive exhibit that lets visitors (children) feel the gravity of different celestial bodies by putting them in the boots of an astronaut jumping his way across their surfaces. This project was made in 48 hours at the Centre For Digital Media. Before I began my masters, the school had us do a game jam with people we had never met before, days after just moving here. This is the result of that weird concoction of anxiety, stress, jet lag and weird first impressions. The task was to build an educational exhibit for a younger demographic for space themed museum. We wanted to build something that was interactive, fun, easy, appealing to all users and that that included users that are passing by, older people and also something that could draw a crowd. We believe we achieved that with AHASAJTS.